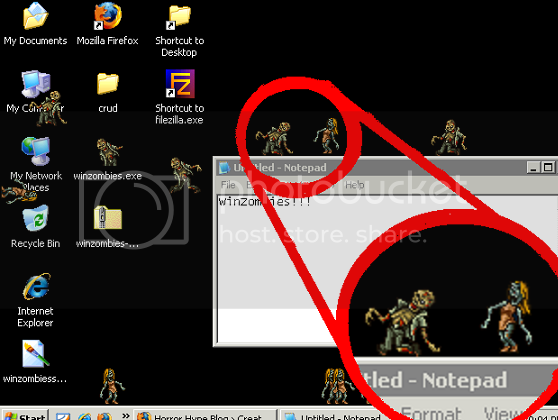 You can download WinZombiesby left clicking HERE and saving the program to your desktop or wherever you want it to go. If you have any difficulty opening WinZombies on your computer or you think you might be able to contribute to the programs further development, see the original WinZombies post on Horror Hype for further instructions. If you know of more great games, leave me a comment.